Today Google presented Android Wear, a variation of their smartphone operating system, that will be used specifically for their smartwatches as well as those made by third-party OEMs. 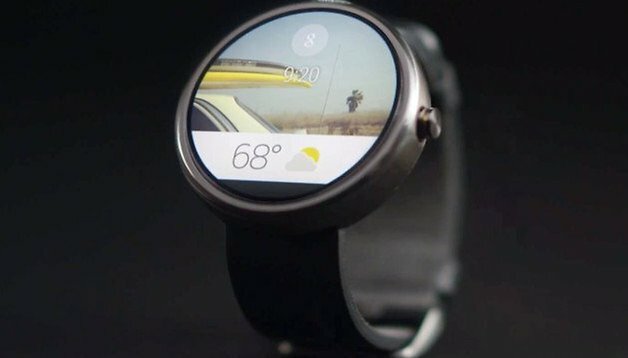 They’ve already demoed the new interface in a video outlining what Android Wear will be capable of doing. The fact that Google will step onto the wearables market with their own version of the Android operating system was revealed about one week ago. The Software Development Kit (SDK) to go with it should also come this week for those developers who are interested in participating, according to Android CEO Sundar Pinchai. That being said, we’ve already received a good look at the Android Wear interface. The key functions of the smartwatch system include apps in the fitness departement, so no surprise there, with tracking options like speed in real-time, distance and time for sport activities. Speaking of nothing surprising, they’ve also integrated Google Now, so you’ll get notifications if your jogging buddy is nearby. Also, when connected to the smartphone, other types of notifications from apps should also reach the smartwatch. Voice commands, like the well-known OK Google hotword is another component of Android Wear, and there should also be other commands that will launch apps on the smartphone, for example to start a video. Google's access to a wealth of sensor technology courtesy of Motorola should also dictate a lot of what Android Wear will be capable of in the future. While the firmware has already been unveiled, the watches that will run Android Wear still have yet to see the light of day. It’s been said that Google is currently talking to Asus, HTC, LG, Motorola and Samsung about the matter right now and both LG and Motorola have announced their smartwatches, with the G Watch and Moto 360, respectively. What shape do you think is better for smartwatches in general?